See a close-up of the hair of the angora goatskins. Angora goatskin rugs are assembled from smaller pieces of angora goatskins. Our Gxx codes denote individual angora rugs. 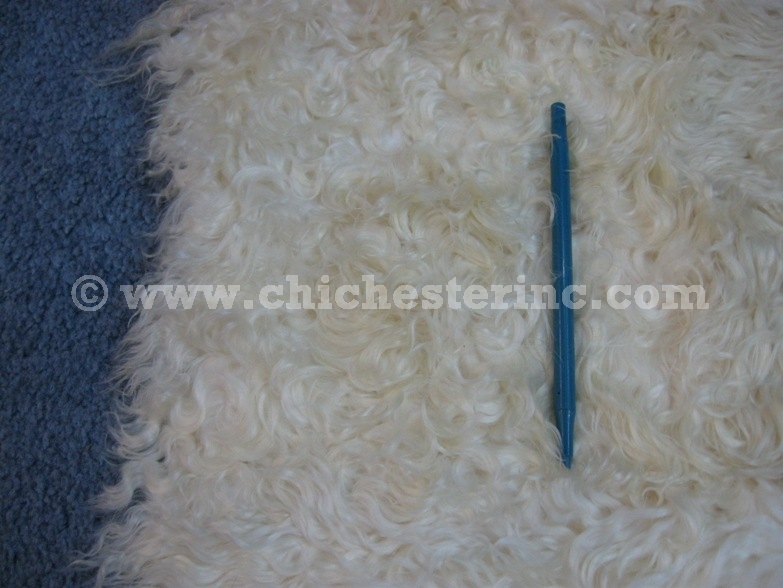 If you would like to order a specific rug, please go to our Gallery of Angora Goatskin Rugs to pick the exact one shown.